Nominated for: failing, time and again, to deliver the streetcars Toronto desperately needs. Toronto is used to waiting for streetcars to arrive. Bombardier, which ostensibly has the contract to deliver Toronto’s new streetcars, takes this tradition to a new and artful level. The Canadian company won a lucrative bid in 2009 to deliver 204 new Flexity Outlook streetcars to the TTC. 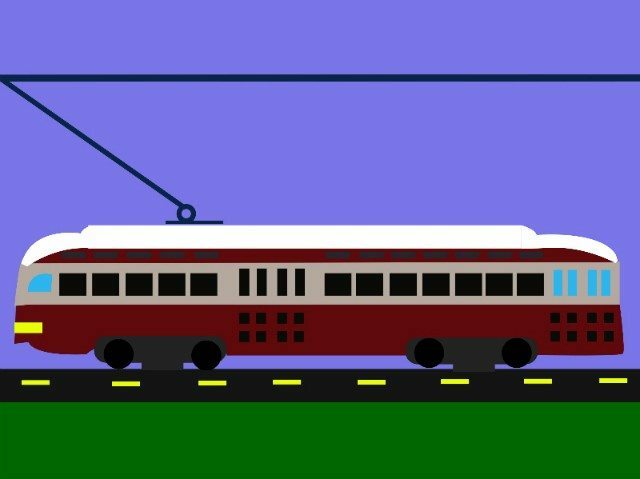 The streetcars would provide greater capacity, they’d be fully accessible, and they looked so shiny and sleek. They would be the first new streetcars since the 1980s, filling a gaping transit need. What was not to like? Well, the one catch is that most of the streetcars have never entered service. Despite what’s written in the $1.2 billion contract, the beleaguered Bombardier—a company which also has supply chain problems, and struggles to follow through on their vaunted C-Series jets, and wouldn’t mind a government handout too—hasn’t delivered on its streetcar schedule. Depending on which version of its promises you’d like to go by, Bombardier was supposed to deliver 67 streetcars by the end of 2015, or a revised goal of 23, or a revised goal of 19. Originally Bombardier was supposed to deliver all 204 streetcars by the end of 2018. That won’t happen. By the end of 2016 the company had the temerity to celebrate the thirtieth streetcar delivered to Toronto. They are not reliable, and should be embarrassed by their delays which leave Torontonians waiting for more. Poor streetcar service isn’t just Bombardier’s fault, of course. Operating with a paltry subsidy from the City, service frequencies aren’t what they should be. And due to its unwillingness to properly fund capital projects, the City is also far behind on its state of good repair. None of this absolves Bombardier. The company agreed to a deal it has repeatedly broken. It does not deserve any of the trust or understanding it asks for as the company struggles to do its job. Just give Toronto its streetcars, and let’s not forget this the next time a big TTC contract becomes available.